To reserve a spot contact me by using the Contact Me button above, or email me at landscapeastrophotography@gmail.com. The Madagascar Landscape Astrophotography Workshop is given in association with WorldPix. WorldPix is a charity organization that promotes and uses photography as a way to help communities in need. Profits from the workshops will be donated to a local charity through WorldPix. WorldPix is coordinating all logistical operations including accommodations and travel. A big thank you to Ryan Plakonouris for doing all the hard work! We believe in the power of a photograph to tell a story, to touch a life, to inspire action, to provide insight, and to provide enjoyment. 10 participants - Cost $5500 per participant. Participants include family members. This could represent 10 photographers or 5 couples, or a mix. Single participants may be asked to share accommodations or pay a single supplement. The trip includes night photography, safaris, and sightseeing in incredible Madagascar. We intend to make this an enjoyable experience for night photographers as well as non-photographer family members. The good hours for night photography will be from around 8 pm until midnight, leaving time in the day for other local experiences and travel. Price includes accommodations in Madagascar and in-country transportation. Airfare to Madagascar is not included. Final accommodations are now being finalized. There may be minor changes in price based on these final negotiations but the coast is anticipated to be $5500 USD per person. All profits will go to charity. This is an incredible change to photograph the glorious Southern Hemisphere Milky Way, a very different experience compared to what we can capture in the Northern Hemisphere. The Milky Way Core will be high overhead rather than close to the horizon, and we will be able to capture both arms of the Milky Way. A sample of the Southern Hemisphere Milky Way is shown above. 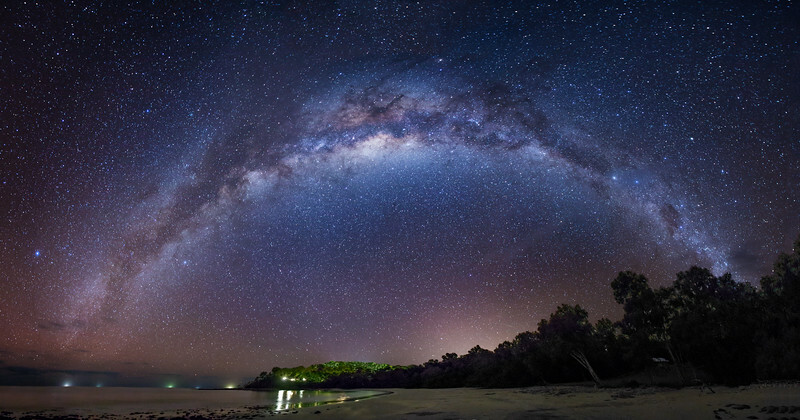 This is a great chance to capture and learn Milky Way panoramas as well. The trip will include landscape astrophotography, Madagascar Safaris, exposure to the local culture, and sightseeing. At night we will be photographing the incredible baobab trees, exotic rock formations, the seashore, and possibly native habitats and dwellings. The trip will be 9 days and 8 nights. We will meet in Johannesburg, South Africa and then fly on to Madagascar as a group. More information will follow as we finalize the final details.